Subtle details such as the sock arms and exposed block feet create the relaxed transitional style for this sofa. 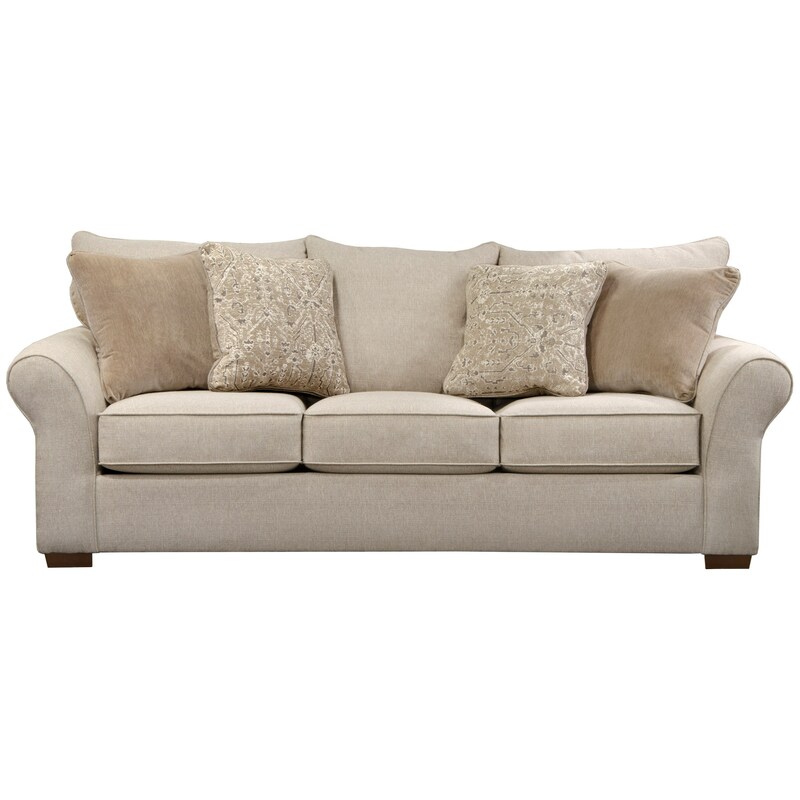 Complete with plump and comfortable cushions, this piece is a great addition to any avid entertainer's home. Whether placed in a casual or more formal setting, this sofa is sure to shine. The Maddox Transitional Sofa with Sock Arms by Jackson Furniture at Miskelly Furniture in the Jackson, Pearl, Madison, Ridgeland, Flowood Mississippi area. Product availability may vary. Contact us for the most current availability on this product. The Maddox collection is a great option if you are looking for Transitional Casual furniture in the Jackson, Pearl, Madison, Ridgeland, Flowood Mississippi area.